This article describes how to add a state code to a new or existing field in a code table. For more information you can reach us via e-mail at help@illuminateed.com or by telephone at (517) 224-4499. This lesson applies to all tables that are used in state reporting. Many fields in Illuminate correspond to codes that are used in state reporting. Each field that is reported to the state must have a State Code mapped to the field so that it will be reported accurately. 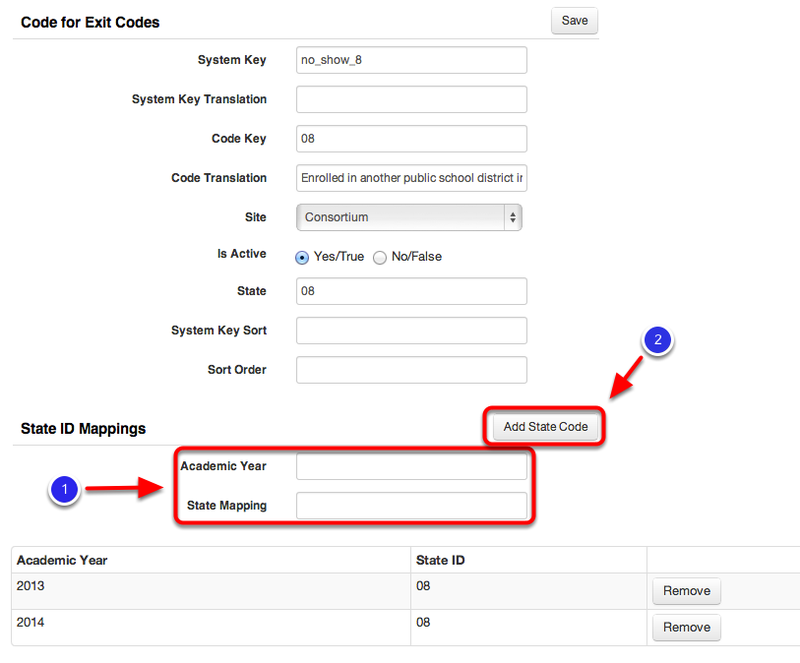 To add a state code click the "Edit Icon" next to the respective field. Note: The academic year is always the year in which the last month of school takes place (e.g., 2013-2014 use 2014). The State Mapping should correspond with the state code found in the MSDS Collection Details Manual. Code that do not have State ID Mappings WILL NOT be reported.